Veteran Calgary producer Jon Delerious makes his Colour and Pitch debut with two original tracks, ‘I Feel This’ and ‘Alright’, plus a remix by UK hotshot Finest Wear. Title track ‘I Feel This’ is a typically crisp, clean production from Jon Delerious; a steady grooving deep house bubbler with addictive synth chords set to stun. ‘Alright’ lays down a more muted, hypnotic atmosphere, with delayed stabs and subtle arpeggios riding over its beautifully constructed bass-line. Finest Wear rounds off the package with an arresting remix of ‘I Feel This’, blending ethereal chords with potent drums to create dance-floor magic for true heads. Released May 3rd 2019 on Beatport, May 17th on all stores. 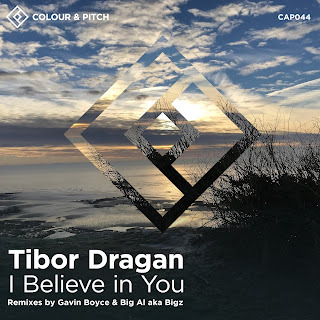 Following first-rate releases and remixes on Rogue Decibels, Ready Mix and Itom to name but a few, Hungarian producer and DJ Tibor Dragan returns to Colour and Pitch with ‘I Believe in You’, a tender and melodic cut, presented with remixes from BiG AL and Gavin Boyce. Tibor Dragan’s original version of ‘I Believe in You’ is an ethereal, dream-like journey with wistful chords and spine-tingling strings, perfect for moments of reverie on the terrace. Boasting a clutch of incredible releases on Nordic Trax and other great labels, we’ve been keen to have Irish producer Gavin Boyce join us on Colour and Pitch for a few years now. It’s been worth the wait- Gavin’s remix of ‘I Believe In You’ is simply a perfectly poised house production; deep in the truest possible sense. Ready Mix Records founder and Middle Eastern electronic music pioneer, BiG AL (aka BIGz) turns in a typically thoughtful and smooth rework, setting up a flawless groove before letting Tibor’s original chords ride out during the breakdown. Third Floor Tiger is a solo project by musician and composer Tudor Moore. Tudor was an early member of Afterlife and contributed to some of the enduring classics of the 90's Ibiza Cafe del Mar scene. 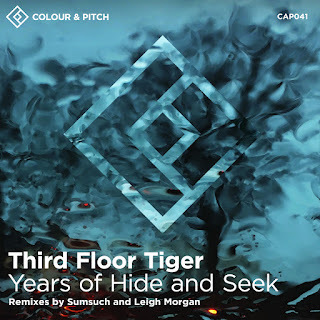 2009 saw the first Third Floor Tiger release on the UK house label Urban Torque, titled Sub Rosa. Far from being prolific in output, there were releases on the chic Parisian imprint Wagram and Subatomic amongst others. In the years since, Tudor has been studying classical composition, pure mathematics and machine learning. Through this he began designing and programming computer instruments, the first of which appears on this single - the Riemann Pad. Featuring cello by Matt Constantine and live horns by Tudor himself, ‘Years Of Hide And Seek' is a deeply moving fusion of classical and electronic music. Stirring, melancholic and uplifting in equal measure, the piece feels cinematic and powerful; in the midst of a disposable era, here's some real substance. Colour and Pitch founder Sumsuch provides a lush and sensitive deep house reworking, letting the cello parts work their magic over subtle electric piano and hangdrum atmospheres. Finally Leigh Morgan (the man who signed both Tudor and Sumsuch to Urban Torque all those years ago) turns in a delightfully wonky and unique remix, nicely representing the charismatic sound for which his new ‘Fancy Human' imprint is becoming well known and loved. 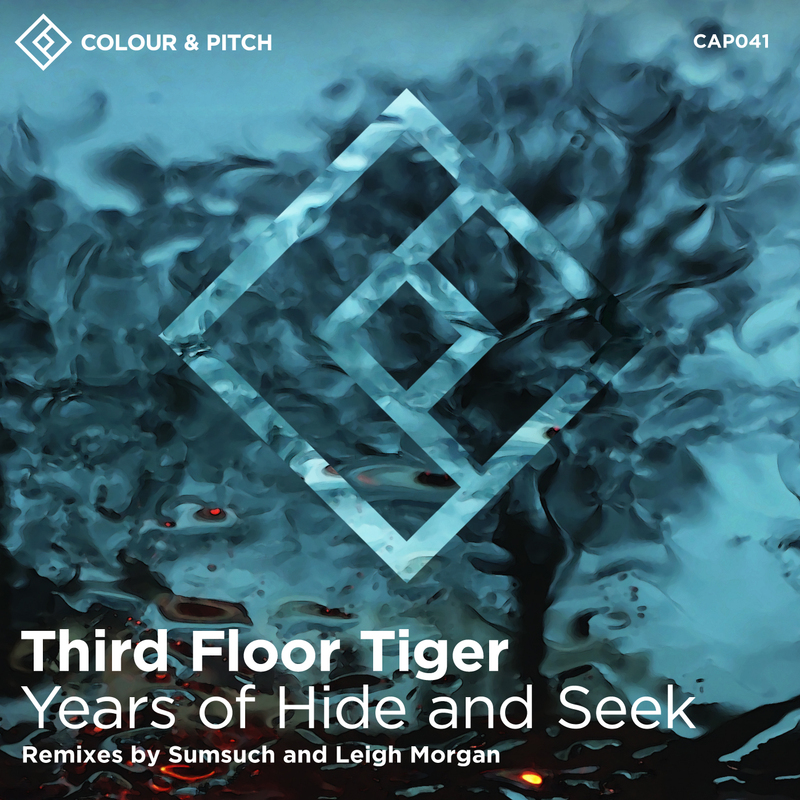 This release marks a strong return for Third Floor Tiger after a decade in the wilderness. Years of Hide And Seek, but mostly hiding. For our 41st release on Colour and Pitch, we are delighted to welcome New York music-maker Weston Butler to the label family with progressive gem, Moonshadows. Introduced to us by 3Bridge Records director Eric Shans, Weston Butler has spent the last few years building a solid reputation for melodic, subtle DJ sets at venues such as Cielo, Good Room, and ANALOG BKNY. 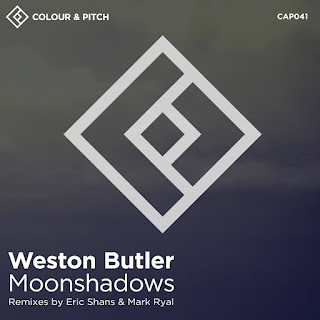 Although Weston Butler is a fairly new name to the production scene, 'Moonshadows' shows impressive maturity both in composition and arrangement; a deep and progressive journey that's simply a joy from start to finish. Eric Shans adds orchestral touches to 'Moonshadows' with his languid, slow-building rework, adding sweeping strings and subtle synth touches that border on cinematic. Former Sub Club and Nitsa Club resident DJ and now a compelling production talent to boot, Mark Ryal delivers a typically genre-defying, vintage and authentically deep remix of Moonshadows, shimmering with nocturnal beauty. 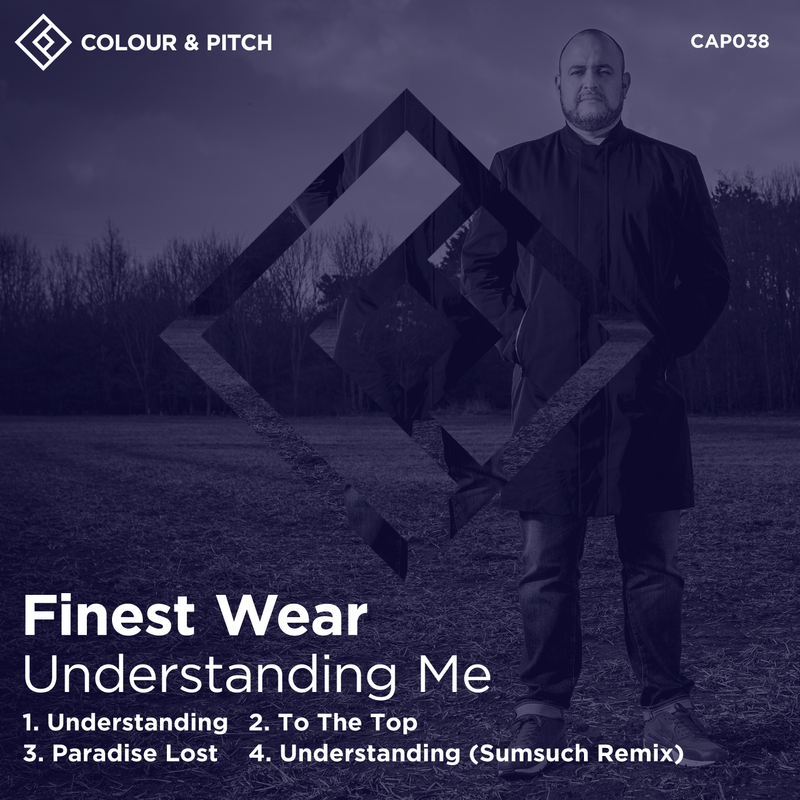 Fresh from well received releases on Nite Grooves, Large and Nordic Trax, Finest Wear returns to his spiritual home of Colour and Pitch with new EP 'Understanding Me', featuring a remix from label founder Sumsuch. 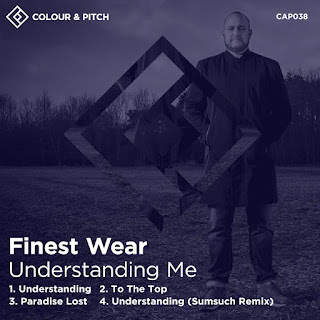 Opening track 'Understanding' is filled with Finest Wear's distinctive warm and subtle deep house atmospheres with rolling percussion, weighty bass and a vocal that tells us what we all know: 'not everyone understands'. 'To The Top' heads into late night hypnotic territory, with rhythmic chords and an insistent groove you can't help but move to. Send the kids out of the room for 'Paradise Lost', a smoothly building track whose climax is echoed by an enthusiastic, wordless vocal sample borrowed, perhaps, from a 'specialist' movie. Rounding off the package, label founder Sumsuch reworks 'Understanding', stripping the track to bare bones and using analogue drums and synths to rebuild it with an old-school feel. 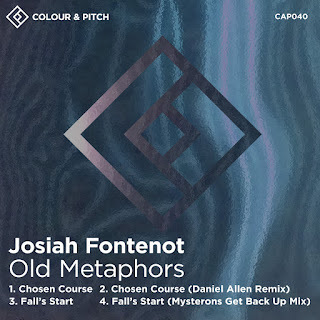 For our 40th release on Colour and Pitch, we welcome Texas native Josiah Fontenot with the stunning ‘Old Metaphors’ EP, featuring remixes from Daniel Allen and Mysterons. Opening track ‘Chosen Course’ delivers a compact, tight groove; gradually adding on tweaked acid touches and retro stabs as it steadily builds and builds. Owner of misfit imprint Denied Music and resident at respected Austin venues Plush and Ethics, Daniel Allen turns in a deep, dark reworking of ‘Chosen Course’, making the most of those acid lines and sprinkling on some techno-infused magic that’s all his own. Enigmatic production duo Mysterons provide the EP’s final remix, taking ‘Fall’s Start’ into languid breakbeat territory with a bouncy, bass driven groove and spine-tingling, expansive chords. 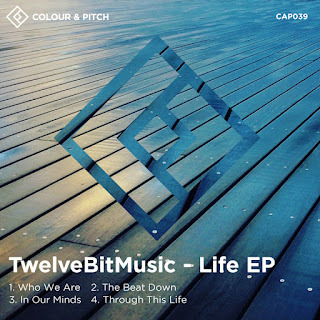 Following the underground buzz created by their 2015 debut release ‘First Flight', Cenzo Scoglio (aka Finest Wear) and James Hockley return to Colour and Pitch under their ‘TwelveBitMusic' alias with new EP, ‘Life'. From the expansive opener ‘Who We Are', it's clear we are in the hands of a mature and prodigiously talented production partnership. ‘The Beat Down' goes down a slightly more progressive road, with delicious synth stabs and a growling bass-line. ‘In Our Minds' creates a hypnotic atmosphere thanks swirling arpeggios and subtle acid touches. 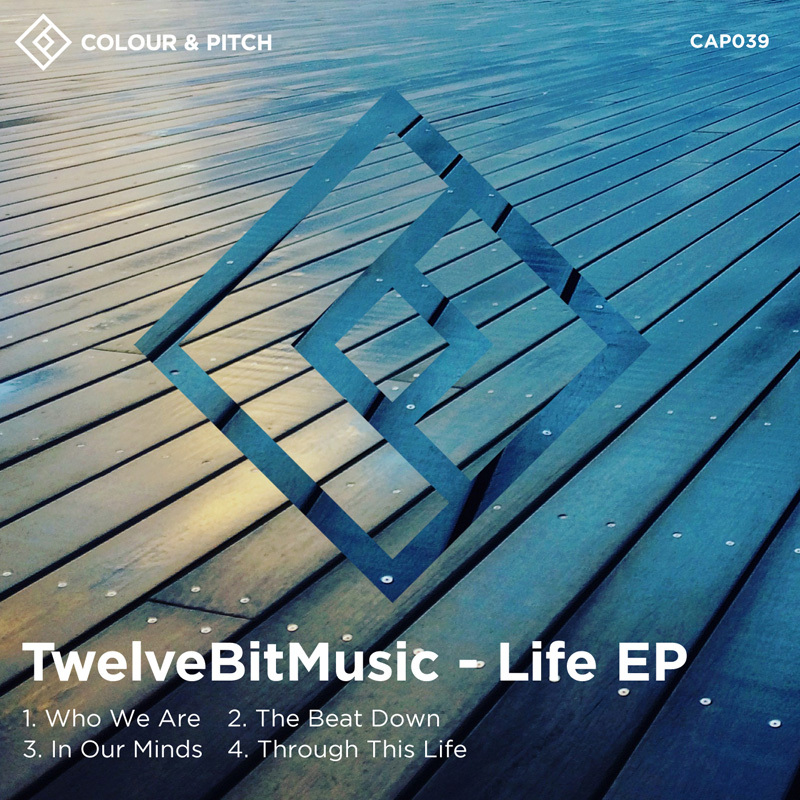 Finally ‘Through This Life' summons up memories of 90's raving as it builds to a crescendo just south of euphoric. Named by Traxsource as one of the top 100 deep house artists of 2017, Finest Wear's career has blossomed since his 2013 label debut, signing tracks to Large Music and Nordic Trax as well as his spiritual home of Colour and Pitch. James Hockley's enviable dance music credentials were sealed when he replaced MJ Cole as programmer and engineer at a private studio in London. He's produced an album with Chicane and remixed Fedde Le Grande, Armin Van Buuren and BT among many others. 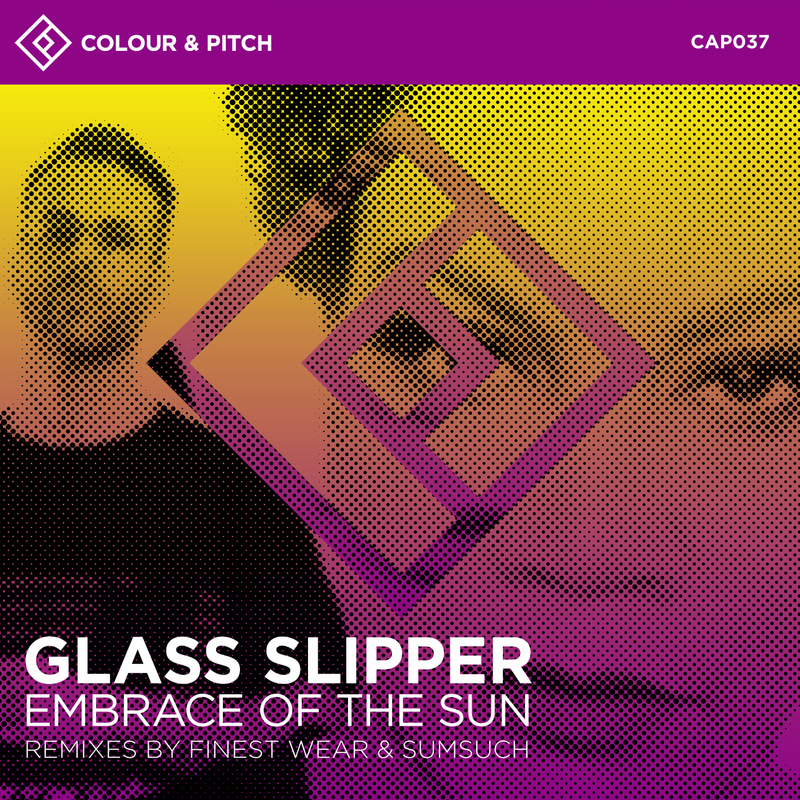 Super-talented, Austin Texas based vocal house duo Glass Slipper unveil two stunning tracks on Colour and Pitch, with remixes from the label's founding fathers Sumsuch and Finest Wear. Comprising veteran (San Francisco) Bay Area producer, Brad Eller, and former vocalist for chart topping dance act 'Real McCoy', Lisa Cork-Twiss, Glass Slipper create uncluttered, hooky deep house tracks with powerful, soulful vocals. Opening track 'Let's Go To The Light' twins stripped down percussion and warm filtered pads with arresting vocal harmonies which spell out a simple message: "love will see us through". Colour and Pitch label boss Sumsuch extends the track over ten sublime minutes, re-composing the instrumental and adding live pianos to drive home those poignant vocals. Title track 'Embrace Of The Sun' enters classic deep house territory, with uplifting strings and a warm bass-line providing the perfect backdrop for Lisa's dreamy looped vocals. Named one of the top 100 deep house artists of 2017, Colour and Pitch regular Finest Wear turns in a classic deep and grooving rework, taking the track into late-night dance-floor territory.